Washington may once again be careening toward an abyss of its own making, but it is not the only story worth attending to. It makes good theater, but for now we don’t know how or if it will fundamentally shape our lives. So what will? Half a world away, a Chinese company is considering a public offering. That would seem of even less import, but this is no ordinary company. It is Alibaba, which is to China what eBay and Amazon are to the United States. It is the leading e-commerce company in the Middle Kingdom, and it is led by a visionary entrepreneur named Jack Ma who has transformed that space in China as surely as Jeff Bezos has in the United States. And now, Alibaba wants to go public. 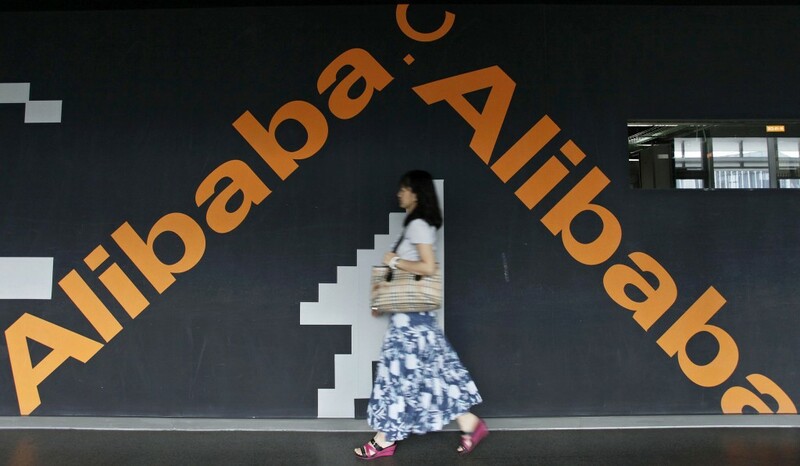 The IPO could value Alibaba at as much as $75 billion. That would be noteworthy in and of itself, for sheer size and scope. More intriguing is that, according to reports, it is increasingly likely that the company will sell its shares not in Hong Kong, which is part of China, but instead in New York City, which is decidedly not. Only two years ago, Alibaba made a serious play to buy Yahoo, which was an early investor and is still a substantial shareholder. Now, Alibaba may soon join Yahoo and a host of other competitors as a publicly-traded company listed on a U.S. exchange. While shares on any exchange can trade electronically anywhere in the world, where you list shapes what information you must report and how a company both communicates with and is perceived by the public and by investors. But listing in the U.S. versus Hong Kong is also a powerful symbol, because it shows where Alibaba believes its best interests will be served. Jack Ma and his partners do not want to cede as much control of the company as Hong Kong rules would demand. Like many media and Internet moguls, they want to be able to determine the strategy of the company rather than relinquish those decisions to shareholders. The wisdom of that thinking may be debatable, but it is hardly unique. From Barry Diller and IAC to Larry Ellison and Oracle, many powerful publicly-owned American companies enshrine special rights and controls to those who created and run the companies. This is more than a “business” story. It is a potent example of the continued intermingling of the Chinese and U.S. economies, and of the globalized nature of business and finance. The expansion of Alibaba and its possible decision to list on a United States exchange is one element of a powerful story, namely the continued evolution of e-commerce and information technology that is facilitating the emergence of a global middle class. What’s particularly striking is that this story appears to exist in a completely separate world from the political narrative that is unfolding in many countries. Read about politics in the United States and you would understandably assume that the tracks are warped and the train is about to go off the rails. Read about politics in China and you’d think that corruption is everywhere; scandal is inevitable, and no tycoon is safe from unpredictable government crackdowns. But the world of technology and dynamic companies exists in a different realm, one that only serves the multifaceted needs of a burgeoning middle class. I recently spoke at a conference where senior executives in the room were asked if they felt positive about the economy going forward; almost unanimously they said yes. Asked if they felt positive about Washington, they said no by a similar margin. Go to the Beltway, and you will get an earful of cynicism and prognostications of imminent doom. Go to Silicon Valley, and you will hear about the transformative power of the next wave of innovation. Jack Ma and Alibaba, as well as hundreds of like-minded enterprises, are largely immune from the politics of dysfunction that characterize Washington. Ma and his peers have helped propel the next wave of Chinese consumer society. When his company began, no one in China shopped online. There was so little trust of commercial transactions conducted that way that most purchases were C.O.D. — cash on delivery. Now, according to McKinsey, the market is $210 billion and has been growing in excess of 100 percent a year. Alibaba has been a driving force. Yet now this behemoth is contemplating a listing in the United States, and this possible listing runs contrary to perceptions that American regulations are driving capital away. In fact, it’s the Chinese economy and its regulations that aren’t flexible enough for Alibaba. The liquidity of U.S. markets, their global reach and international participants, as well as the relatively clear set of rules make American financial markets highly attractive to an entrepreneurial company like Alibaba. Responding to the unwillingness of Hong Kong to relax its rules, one of Alibaba’s founders remarked, “We understand Hong Kong may not want to change its tradition for one company, but we firmly believe that Hong Kong must consider what is needed in order to adapt to future trends and changes.” Rather than decrying the American regulatory framework, Alibaba sees it as favorable compared to China’s. Alibaba’s business looks to remain almost entirely Chinese, even as its capital will come from investors around the world. Its potential moves underscore that the world of commerce and capital continue their relentless march toward globalization, which is benefitting emerging middle classes throughout the world. The benefits are not shared evenly, and American wage earners have seen significant pressure, but on a global scale lives are improving manifestly, and companies such as Alibaba have been facilitating that by reducing the cost and complication of obtaining needed and desired services. The fact that its future winds not just through China but possibly through American financial markets is another sign that politics may be frozen but global commerce is not. Trade between the U.S. and China continues to expand at double digits, including U.S. exports to consumer-oriented Chinese buyers. The price of tea in China does, in fact, matter to the fate of the United States, and the health of American markets matters to a citizen of Shenzhen, or Rio, or Bangkok, and on down the list. Those cities and their citizens are thriving and churning in spite of political crises. We should attend to the perils of politics, but not at the exclusion of equally potent stories that are defining our future, and much for the better.